General Insurance: Which is the best car insurance company in India? In India, having a motor insurance is a compulsory legal requirement. Every vehicle on the road has to has a valid vehicle insurance. ● Natural calamities like flood, earthquake, etc. ● Man-made causes, e.g. riots, etc. Financial liability against a 3rd party arising due to damage to property or person is covered by the car insurance provider as well. 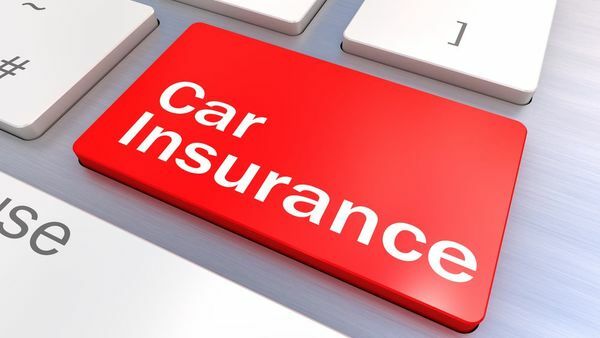 Let us look at what the top car insurance corporations have to offer to us. It is one of the largest private companies offering general insurance. All their processes are digitalized, be it paying premiums, renewals, getting a new policy instantly, or receiving an e-signed policy document. Its premium options are the best in the industry. Its network has over 5600 cashless garages. Roadside assistance handles accommodation arrangements, an alternative vehicle, fuel supply, changing a flat tyre, etc. They have settled 93.2% of self-damage claims within a month of filing in 2016! ICRA awarded an iAAA rating to ICICI Lombard for having the highest ability to pay claims. They won an Indian Insurance award for being the ‘Claim Leader for General Insurance’. NIC brought the concept of car insurance to India. Besides the urban India, it is present in the rural parts too. It has offices, employees, and agents in India as well as Nepal. It has a network of over 1500 garages. The motor insurance from NIC covers a wide range of damages and losses. It ranked as the second best among the various car insurance companies in 2013-14. It is in the general insurance industry since 2002 and has already received an iAAA rating from the ICRA. HDFC ERGO has over 3000 garages in its cashless network. Its has several add-on covers that are both exemplary and unique. It offers discounts that are based on policy buyer’s profession and age. It is a 100% Government owned entity. New India is leading the automobile insurance sector by bringing innovation to insurance products. Their brand is gaining world recognition too. Acceptance or rejection of claim happens under 3 days of receipt of the same. The settlement is made 15 days from receipt of the claim. The OICL is a Central Government initiative. It has been awarded several times since its inception. But most recently Oriental Insurance has won several awards like ‘Best Public General Insurance’ and ‘Best Financial Institution and Bank’! It is one of the few public sector general insurance providers that has been given the iAAA rating by the ICRA. It has several thousand employees and offices in not only India but in Dubai, Kuwait, and Nepal too. Oriental Car Insurance has a strong network of agents and an expert client support. You can easily buy and renew your car insurance online. Let us tabulate some of their noteworthy features. A maximum of Rs.750,000 for property damage. Automobile Association member gets a maximum 5% discount. If the car has an anti-theft gadget approved by the ARAI, you are eligible for a maximum discount of 2.5%. No claim bonus from an existing car insurance can be transferred. Discounts as per a person’s job and age. Under the Zero Depreciation plan, the policyholder can file unlimited claims in a year. Membership to Automobile Association discount. Review car insurance providers like ICICI Lombard, HDFC ERGO, etc. before opting for a car insurance. You cannot not take a motor insurance. So why not choose one that offers you the best features and benefits! I had purchased Swift ZDI last month and I want to get it Insured, So will you please provide me the best Top 5 Car Insurance Companies in India with the best insurance prices that comes under my budget.